A car pulled to the sole gas station and two guys exited. The first lit his cigarette and headed to the general store, the other lit his and started refueling the car. 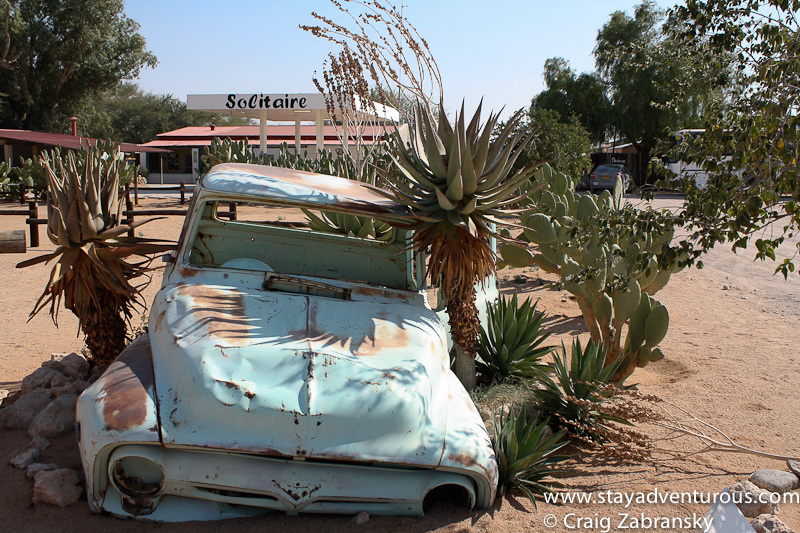 This was Solitaire, Namibia. 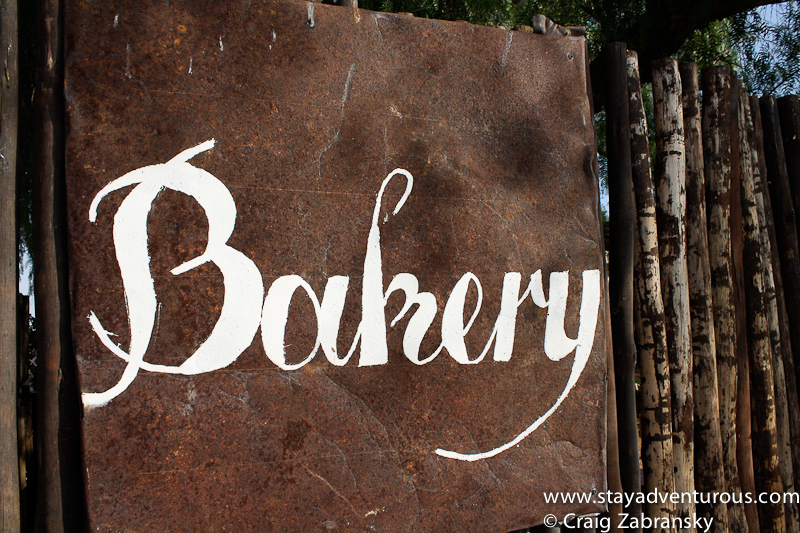 The stop, a good distance from Windhoek, the capital city, and the coastal destinations of Swakopmund or the red sand dunes of Sossusvlei serves as the overland rest stop. 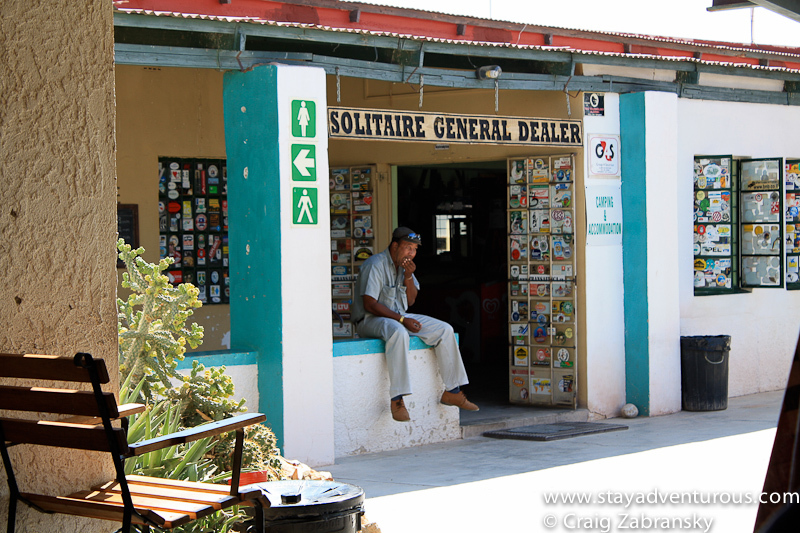 If you traveled through Namibia, odds are better than good, you stopped in Solitaire. After a refueling of myself with lunch, I decided to take my camera and shoot a few images of the barren location. Places like Solitaire are truly what make Namibia, well Namibia. 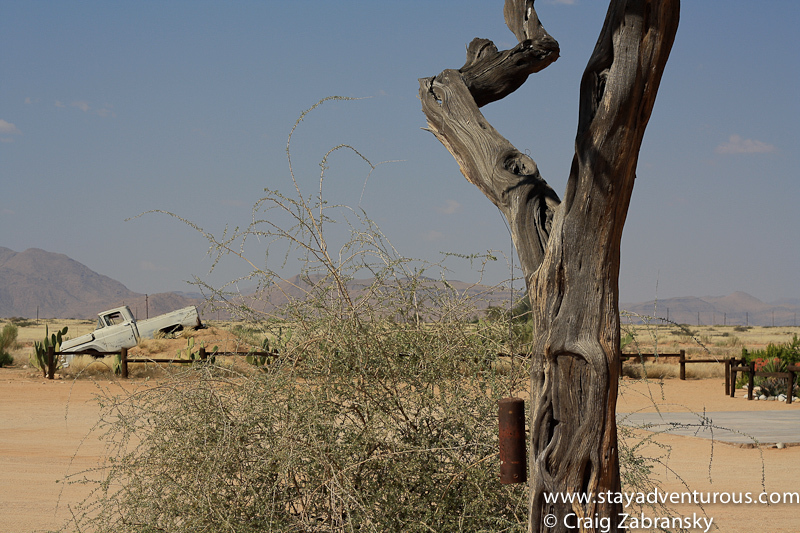 Then after the fuel, the supplies, and a few images we climbed back in the bus… more of Namibia, an Africa essential awaited. Stunning photos, these are not your typical everyday photos that we can see anywhere. It’s very unique and different. I love these Namibia shots. Love the pictures. Never have been to Namibia but South africa is in the cards later this year. 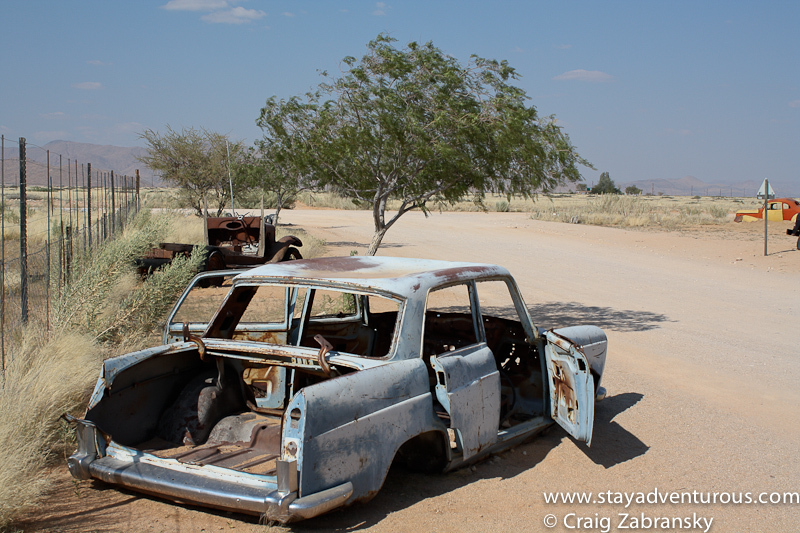 Namibia–It took me days to learn how to pronounce the country’s name. What an interesting country and your pictures really capture it’s rare beauty. @ Sarah, thanks again for you kind words on my photography… glad you appreciated the images. @Maryann, many times, people forget the first ‘I’ you are not alone, and glad you enjoyed its beauty… it truly was a remarkable place… and more posts to come from the country. Wow! Sure looks like the middle of nowhere! That old rusted car says it all!